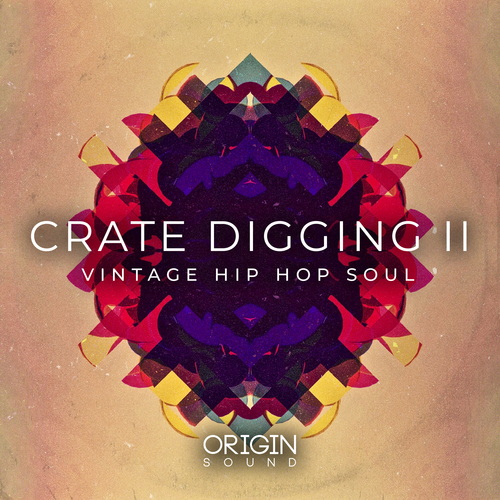 Unearth a gold mine of vintage sample goodness in our newest pack “Crate Digging II”. Much like its predecessor, volume II has an impressive variety of smooth and airy loops for you to immerse yourself in. Most notably the addition of the “Stacked Loops” sub-folder, in which we have meticulously combined a variety of instrument loops into rich, textured audio files, ideal for dragging and dropping straight into a project. If you are looking for complete control over your sound, then make sure to utilize the remaining music loops folders, including 17 organic melodies, 11 sublime chords and 10 gnarly basslines, all with accompanying MIDI. This packs standout quality is the authenticity of its sounds. The saxophones, pianos and keys sound like they were pulled straight from an old record, when in fact they were cleverly processed recordings, providing you with the easiest sampling experience. We also have you covered for drum samples. You’re spoiled for choice with 120 expertly crafted drum one shots to get your hands on. The 30 kick drums and 30 snares have the definition and clarity of a modern recording, but the dustiness of an ancient sample, perfect for adding rustic hues to your work. The percs and tops follow the same trend; allowing you to have a great sounding mix, full of that sought after vintage character. The extension of drum sounds doesn’t stop there however. Our folder of drum loops contains 20 diverse loops, showcasing the true authentic style that makes this pack special. In addition, we have rendered each loop without kick and/or kick and snare for ultimate control over your sound, as well a set of bonus loops for the finishing touch. Finally, greatly increase the fidelity of your mixes by applying subtle or prominent effects with our SFX folder, to push your sound up to the level of the pros. This folder contains everything from extra musical stabs, to vinyl artifacts and subtle vocal noises, ready to be dragged into places of absence within your mix. The 2nd installment of Crate Digging is the quintessential dusty library of vintage sounds. Containing everything you might need and want to achieve the mature analogue sound that people are talking about.